Having just wrapped up a European tour supporting Flight Facilities and ODESZA, official remixes for RÜFÜS and ODESZA and hitting more than 40 million plays online, Berlin-based producer Mazde is showing no signs of slowing down. His latest release is a collaboration with New York rapper Khary titled, Neverland, on Stoney Roads Records [out September 23]. 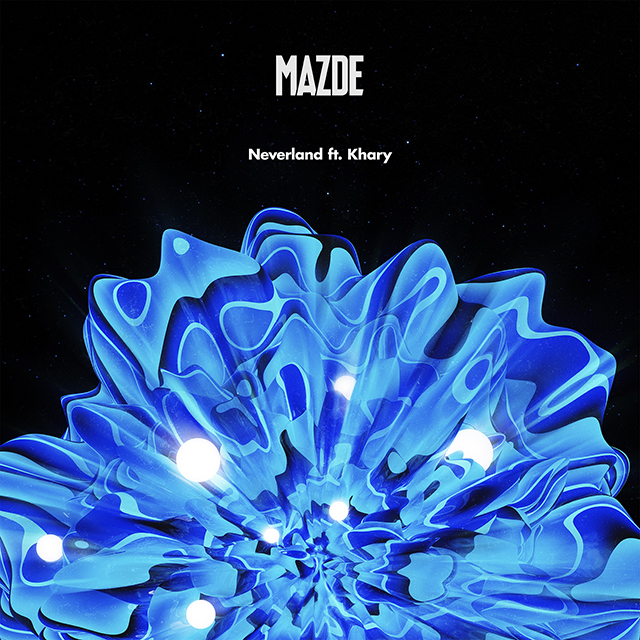 On Neverland, Mazde hits the ground running — layering ear worm bass-lines with abrasive, high energy synths that run and build alongside expansive, soaring vocal samples. Khary grounds the track, rapping about the feeling of being an underdog in life and using that to your advantage. Born in Germany and at only 22, Mazde has crafted gorgeous releases such as Shifted Thoughts on Stoney Roads Records, to piano-house grooves like Pitch Black ft LissA also on SRR. Now he delivers a mammoth, addictive track hinting at just how far Mazde can push his style, After supporting ODESZA in Europe, ODESZA have since become loyal fans of Mazde. Mazde has received love across online platforms such as La Belle Musique, Suicide Sheep, Dummy Magazine, Hilly Dilly, Indie Shuffle and more. Khary is a 24-year-old rapper from Providence, RI. He has supported for the likes of Tory Lanez, Kyle, Michael Christmas, Kid Ink, Talib Kweli, and Jordan Bratton. To date, his music has been featured on high caliber outlets including Pigeons & Planes, The Fader, Mass Appeal, Soulection, Earmilk, Stereogum, HipHopDX and many more. His style is no fuss, often looking introspectively at our generation and cleverly alluding to culture with lines that stick.